Terry Butcher starts preparing for next season after contract deadline passes. 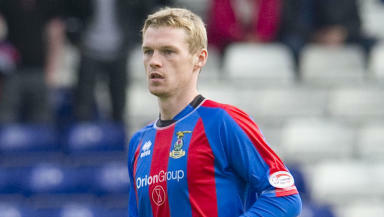 Billy McKay has committed his future to Inverness Caledonian Thistle by signing a new two-year deal to stay with the club. The 23-year-old joined the club last summer and scored three goals in 24 appearances. However defender Thomas Piermayr won’t be extending his stay in the Highlands after setting his sights on a move to Germany. Austrian Piermayr is looking to move closer to home to end his year-long spell in Scotland. Manager Terry Butcher told the club's official website: "Billy has agreed to extend his contract for a period of two years. "We're delighted he has pledged his future to us. He showed good promise in his first SPL season and we think his best is yet to come. Gregory Tade, Greg Tansey and Jonny Hayes have all left the club this week with Butcher admitting they couldn’t match the money on offer elsewhere. He said: "We made these players the best offers we could in our financial situation. "But other teams have been able to give these men a huge financial incentive to leave the Highlands and ply their trade elsewhere. "It's extremely disappointing to lose such great professionals and characters from our dressing room, but we extend our best wishes to them. 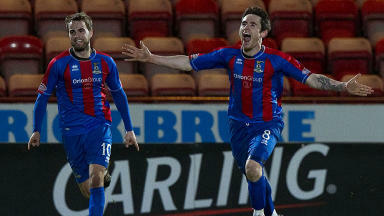 "Their progress, however, is a boost to the standing of Inverness. "Players and agents increasingly see us as a club that can promote and improve players' chances of resurrecting careers which had fallen off track. 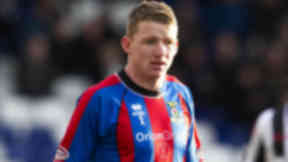 "These players have given a great deal to Caley Thistle but, by their ability and with help from this club, they have earned moves to bigger clubs and bigger contracts. "David Davis, who has won a new three-year deal at Wolves following his six-year loan spell at Inverness, are illustrations of the positive environment we nurture here. "It hurts to say goodbye but there is a welcome to be given to the next replacement. "We've targeted several players but details of these potential signings cannot be divulged at this stage because of contractual privacy." Discussions are ongoing with trio Kenny Gillet, Ross Tokely and Owain Tudur Jones.